Two U.S. women were sentenced on Friday for allegedly raising funds for the terror group al-Shabaab online. Muna Osman Jama, 36, of Reston, Virginia, and Hinda Osman Dhirane, 46, of Kent, Washington, were sentenced to 12 and 11 years in prison on charges of providing material support to a terrorist organization. According to a press release from the U.S. Department of Justice, Jama and Dhirane, both natives of Somalia, organized what was dubbed the “Group of Fifteen,” which included women from Minnesota, as well as Somalia, Kenya, Egypt, the Netherlands, Sweden, the United Kingdom, and Canada. The group met in a private chatroom to discuss the distribution of funds to al-Shabaab factions in Somalia and Kenya. 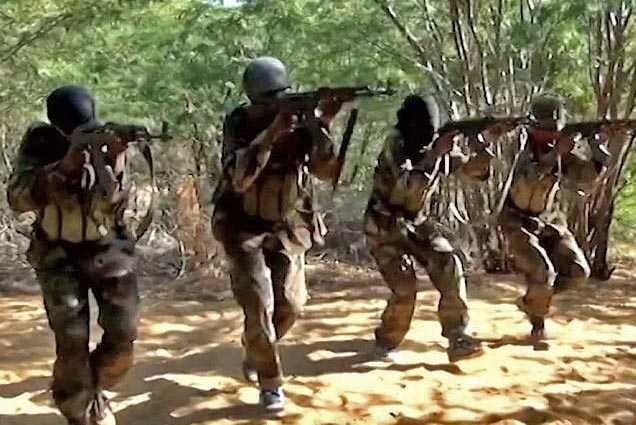 The money was used for al-Shabaab’s military operations in the Golis Mountains and two safe houses in Naroibi, one of which stored weapons for attacks. The FBI recorded telephone calls and obtained other communications between members of the Group of Fifteen, which it believed demonstrated that the women had connections to al-Shabaab’s leadership and activities. “Jama and Dhirane were recorded as they laughed as the carnage at the Westgate Mall in Nairobi was still taking place. Dhirane and co-conspirator were also recorded as they laughed at the Boston Marathon Bombing before it became known who committed the attack,” the Department of Justice outlines. Both were found guilty in October during a bench trial. As previously reported, Al-Shabaab, being translated, means “The Youth.” It states that its goal is to wage war against the “enemies of Islam” and is recognized by the United States and several other countries as a terrorist organization. The group is believed to have been formed in 2006 and is affiliated with al Qaeda and the Islamic Courts Union.